Speaker of the House Shap Smith says he’s not running for attorney general. Smith, who was first elected to the House in 2002, says after careful consideration he’s decided instead to seek reelection as state representative. 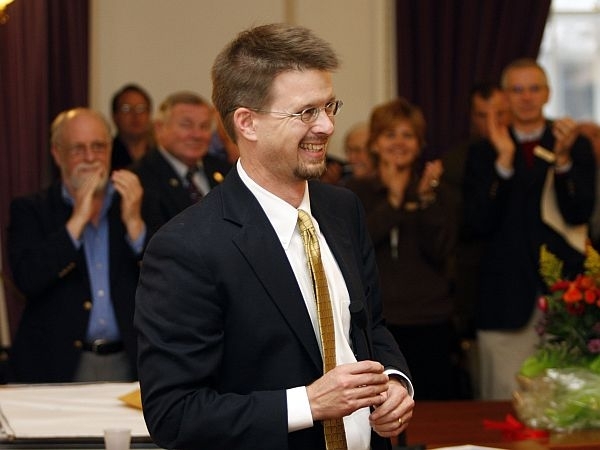 "I see many opportunities to build a stronger Vermont by enhancing our education, tax, and healthcare systems, and I believe I can make the greatest positive impact in those areas as Speaker of the House," Smith wrote in a statement Thursday. The Democrat’s decision not to make a bid for attorney general follows speculation that he might challenge incumbent Bill Sorrell. Vermont Democrats already face a primary in the race for attorney general, with Sorrell planning to seek reelection and Chittenden County State’s Attorney T.J. Donovan, a fellow Democrat, challenging him. The House Speaker says he believes he could have won a three-way primary with Sorrell and Donovan. Smith says he had considered a run for attorney general because issues are coming up that he finds fascinating as a lawyer. Speaking to reporters, he said he did not wish to criticize Sorrell’s performance in the job, but says he would have brought a different perspective to it. Ed Stanak, the Progressive Party candidate for Vermont Attorney General, says he brings an activist background to the table, following his 35 years of experience in the legal system. The three major party attorney general candidates are sparring over how much of an "activist" the attorney general should be. The three candidates, Incumbent Democrat Bill Sorrell, Republican Jack McMullen and Progressive Ed Stanak have very different views about the kinds of legal cases that the attorney general’s office should be involved in.